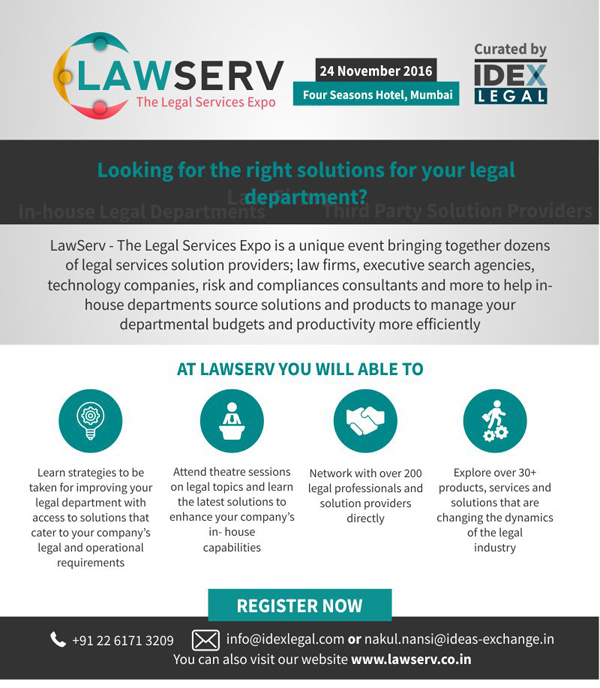 LawServ - The Legal Services Expo is an open platform focused on bringing together the legal ecosystem from across India and the region for networking, relationship building and knowledge exchange. LawServ will act as the platform for law firms, GC's and third - party service and solution providers to come together to showcase solutions, services and share knowledge and expertise on how to tackle some of the critical business challenges impacting buyers of legal services today. LawServ will host Partners of Law firms, General Counsels of national, multinational and international companies along with legal service providers such as recruiters, law schools, consultants, technology companies that have innovative and cost-effective services and solutions to offer to the law firm and in-house community.